After the recent success of his latest single "Héroe Favorito," Romeo Santos is partnering with Spanish Broadcasting System, (SBS) to give a series of exclusive intimate shows in New York, Miami and Los Angeles. 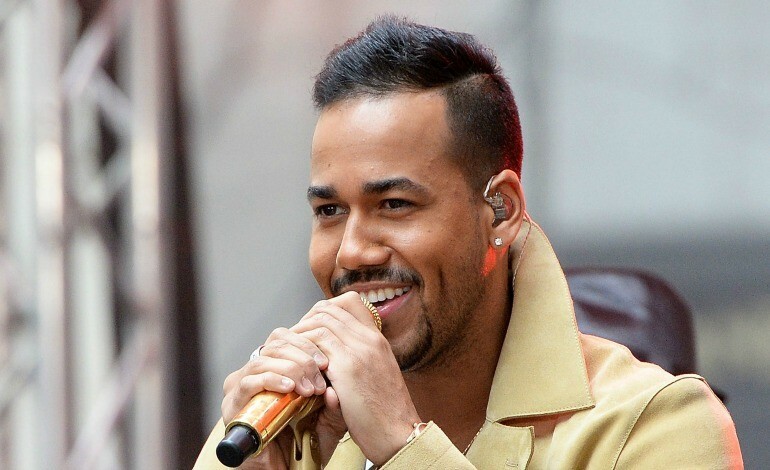 The only opportunities to witness the "King of Bachata" perform live are August 9 in New York, August 11 in Los Angeles, California and August 15 in Miami, Florida, and will feature the release of Romeo Santos' new album "Golden." "This exclusive event series demonstrates the power of our unique multi-platform capabilities, the engaging content and experiences we deliver to our audiences as well as the depth of our industry talent relationships," said Raúl Alarcón, Chairman and CEO of SBS. "Romeo Santos is one of the most talented and charismatic performers in Latin music today and we thrilled to provide our dedicated LaMusica App exclusive users with an unforgettable live concert experience." Latin Times contacted Vladimir Gomez from SBS, who shared how you can be one of the lucky winners. "Every half hour, Mega 97.9 radio stations in NY, Mega 96.3 in LA and Zol 106.7 in Miami, will be receiving calls until the day before the intimate concert," said Gomez. "These intimate concerts with Romeo Santos create an unprecedented partnership with SBS with the commitment to offer our customers access to exclusive content and one-of-a-kind entertainment experiences," said Albert Rodriguez COO of SBS. "SBS is delivering the first of many amazing and unique opportunities to our customers with an incredible artist such as Romeo Santos." "The Romeo Santos exclusive shows bring the excitement to music fans throughout the country," said Eric Garcia, CRO Radio Division, and General Manager of SBS New York. "These events extend our commitment to bring audiences engaging content where ever they are." Over the years, SBS has hosted exclusive concerts from today's biggest Latin stars, including J Balvin, Nicky Jam, Farruko, Ozuna, JenCarlos Canela, Silvestre Dangond, Wisin, among others.